Update: This story was updated at 9 a. m. on Nov. 15 to reflect latest count from the California Secretary of State. 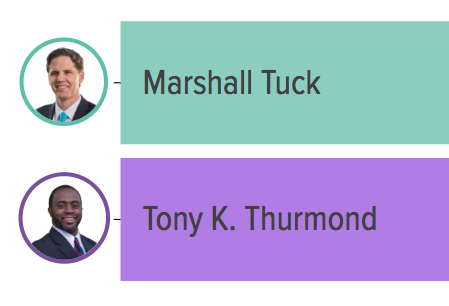 In what may be a pivotal moment in the race, Assemblyman Tony Thurmond, D-Richmond, has maintained his lead over Marshall Tuck in the contest for California’s state superintendent of public instruction based on the ongoing tallying of millions of uncounted ballots. Thurmond has not only erased the 86,000 vote lead Marshall Tuck enjoyed in the post-election day count, but leads Tuck by just over 74,000 votes, according to the latest figures released Wednesday evening by the California Secretary of State. The post-election day count of a week ago did not include the estimated 4.8 million uncounted votes, consisting mainly of mail-in ballots and provisional ballots issued at polling stations. The latest figures indicate that Thurmond has 50.5 percent of the vote and Tuck 49.5 percent. Thurmond currently has 4,169,323 votes, compared to Tuck’s 4,094,393. For the most recently posted results on the race, check out EdSource’s vote tracker here. Although millions of ballots have yet to be counted, the momentum in the race now appears to be clearly in Thurmond’s favor. Ever since county election officials began tallying the uncounted ballots last week, Thurmond has outpaced Tuck in the vote count. Each day he has cut into Tuck’s lead substantially, and has now overtaken him. Thurmond and Tuck are running to replace the incumbent superintendent Tom Torlakson, who is termed out after serving two four-year terms. While the superintendent himself does not have substantial policy-making powers, as the top official in the nation’s largest school system, with over 6 million students and 10,000 schools, he occupies a highly visible bully pulpit to be able to influence education reforms and debates not only in California but across the nation. He also runs the California Department of Education, and in that role can influence how state and federal programs and policies are implemented in schools across the state. At least 3 million outstanding ballots have yet to be reported to Secretary of State’s office by Wednesday afternoon. At the Alameda County’s voter registrar’s office in downtown Oakland on Tuesday, vote tabulation was in full swing. Tim Dupuis, the county registrar of voters, said the county has about 90,000 votes left to count, out of 250,000 that were uncounted after election night. The county had vote counters work overtime and through the long weekend. He projects that the county will have what he called the “unofficial final” tally done by the end of the week. Dozens of people were working Tuesday to process ballots in the windowless basement of the Alameda County Superior Courthouse. In one room, several rows of workers removed stacks of ballots from envelopes and arranged them into piles, while another group examined and remade ballots that had been damaged. Down the hall, more workers fed stacks of ballots into scanners, which spat out piles of counted ballots into one tray and those the machine could not read into another above it. Similar scenes were being played out in dozens of counties throughout California. As of Wednesday afternoon, Los Angeles County, by far the state’s largest, still had to report the results of 688,000 uncounted ballots. The high number of uncounted ballots this year is not unusual. In fact, the number of uncounted ballots was almost as high two years ago during the November 2016 presidential election. An estimated two-thirds of the uncounted ballots are mail-in ballots postmarked by or before Nov. 6, but arrived too late to be counted by Election Day. Another fifth are provisional ballots issued on Election Day. A provisional ballot is a regular ballot put in a special envelope before being put in the ballot box. One reason for issuing a provisional ballot is if a voter believes he or she is registered to vote, even though their names are not on the official voter registration list. 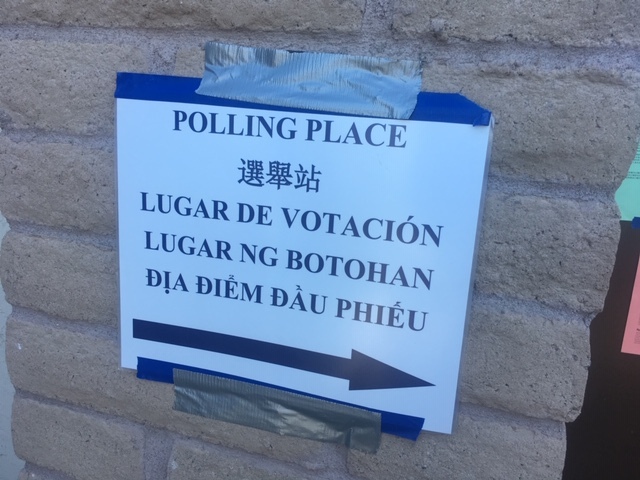 Another reason is they had signed up to vote by mail, but did not receive their ballot, or instead chose to vote at their neighborhood polling place. A much smaller number — about 5 percent — are damaged ballots, ballots that could not be machine-read or those that were rejected by optical scanners for further review. In the tally of new votes counted since Election Day Thurmond is leading Tuck by a 53.8 to 46.2 percent margin, according to an EdSource analysis. Tuck has the majority vote in 41 out of 58 counties, but in new votes counted, Thurmond is doing better in 36 counties than he did in the original count. Even in counties where Tuck was clearly ahead in the original precinct count, Thurmond is closing the gap. For example, a week ago, Tuck was ahead 59.2 percent to 40.8 percent in Orange County, but votes counted since then have gone to Tuck by a narrower margin — 52.2 percent to Tuck and 46.8 percent to Thurmond. Nico Savidge and Daniel Willis also contributed to this story. Woke up with hope after reading Louis Freedberg’s comments on how the race is progressing. I voted for Tony Thurmond. My question is how do we hold those we elect accountable? Let’s hope this trend continues and that public school supporter Tony Thurmond is victorious. It doesn’t matter who gets elected as long as they have the backbone to get the job done. The authorities need to do something about the sexual and physical assaults perpetrated by UTLA on members. I’m not sure that Tony Thurmond would have the backbone to do what’s right, since CTA financed his campaign. What a relief! Now there is hope for the solvency of our public school system, where every child is welcome through the front door. We need you and we welcome you, Tony Thurmond, as our greatest hope come true. Finally. CTA/Public School Teachers, Kids, Families, Communities. Thanks.